Spokane has gone wild over Wild Sage! This avant-garde bistro is a celebration of American cuisine at its best. Their hard to beat menu features natural and organic products, many of which are hand-selected and scratch-baked. 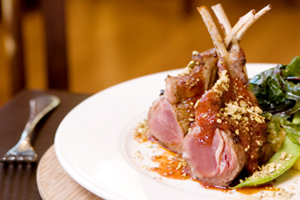 Wild Sage's culinary signature of American contemporary cuisine is executed with simplicity and flair. From baked-in-house breads and crackers to gourmet salads and regional entrees, the menu is fresh, innovative and inviting. A new Gluten Free Menu addition is delicious. 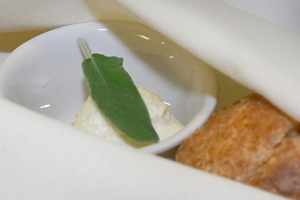 Wild Sage shines at the evening meal with menues that change with the seasons. 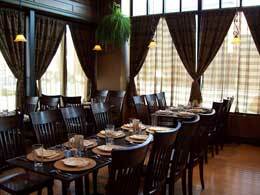 You will find such entrees as hand carved bistro steaks or Bluefin Ahi tuna with a habanero chile jerk spice rub and butter rum glaze. Don't overlook the Veal Tenderloin Saltimbocca, Goat Cheese stuffed Free Range Chicken Breast or Wild Mushroom Ravioli. An innovative "Tapa" menu of sampler items are perfect for sharing. Will it be Grilled Artisan Breads & Olives, Garlic Prawns, Sirloin Skewers or Warm Goat Cheese with fresh bread... to name but a few! Accompany them with some fine regional wine or cocktails from the bistro's bar and your group of friends are set to start or end the evening. Bistros are small and inviting. 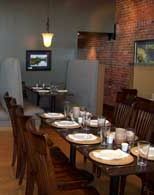 Wild Sage captures this feeling of intimacy with its earthy tones accented by the original 1911 brick walls, classy granite tables and organic light fixtures. Large street-side windows overlooking 2nd avenue flood the space with light and a New York City feel. The deluxe state of the art kitchen is the perfect setting to create those culinary delights Wild Sage is becoming noted for. Make reservations, the bistro only seats 84! "Celebrate life with friends" is written on the menu and there isn’t a better place to do that in style than at Wild Sage.